Absolute layout is less flexible and harder to maintain than linear layout, relative layout, table layout, etc. To specify views inside absolute layout, you have to use android:layout_x for x-coordinate and android:layout_y for y-coordinate. 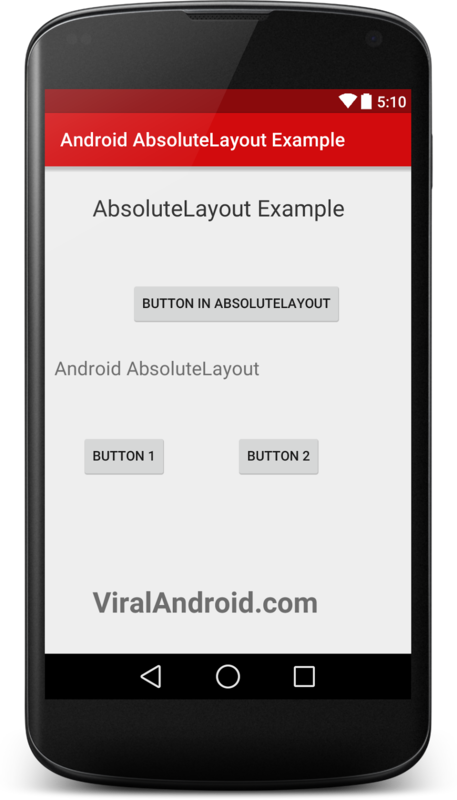 In this tutorial, I will show how to use absolute layout in your android application. Add following xml code in your layout file. Default code of java activity file looks like this. And finally, following is the strings of strings.xml file.